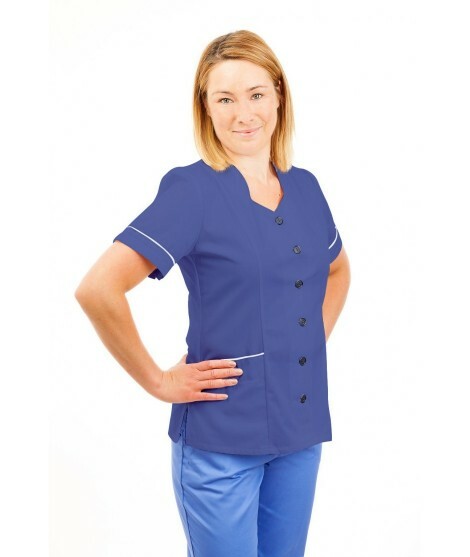 This uniform comes with Royal Blue piping and Marymount logo as required on all uniforms worn by staff nurses working at Marymount Hospital Curaheen. A great option if you’re looking for a clean, white and tradition style nursing uniform. Buttoned at the front and centre, the garment is accentuated by a lovely Revere collar and has all the usual lower pocket and side vent details.